No matter how much preparation you do – classes you take, books you read, searched on google – nothing truly prepares you for becoming a parent. The responsibility and worry of getting it wrong can blind-side you from day one. Simple things like a grazed knee, which you’d ordinarily clean up and stick a band aid on, can become medical nightmares when they happen to your child. Which cream to use? Keep it covered or leave it open? The questions keep coming. 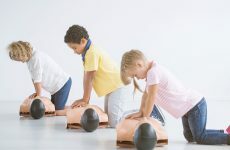 Grazed knees included, here are 10 reasons why every parent should become Emergency First Response (EFR) certified. 1. Confidence to Care – The best first aid care is care given calmly and confidently. You’ll find this becomes easy once you’ve taken the EFR program. You’ll learn step-by-step methodology for assessing situations and acting accordingly without stressing or panicking. 2. Handle Emergencies – Would you know what to do in an emergency situation? The EFR course will prepare you for how to deal with both minor and life threatening medical emergencies. 3. Prepare for Accidents – In the United States alone, more than 3.4 million children experience an unintentional household injury every year, of which 2,300 are fatal. 4. Beat the Statistics – The leading causes of childhood injuries in the home are choking, suffocation, drowning, submersion, falls, fires and burns, guns and poisoning. Do you know how to handle each of these situations and could you do so calmly and confidently? All of these scenarios will be addressed during your EFR program. You’ll learn how to react, how to stay calm and how to give appropriate care. 5. Better Together – Why not learn with your family. The EFR program is not just for parents, learn together with your children and share the experience. Not only will this build bonds between you, you’ll also be able to practice skills and scenarios together at home. 6. Spot the Less Obvious – Whilst a broken bone, cut knee of bruising can be easy to see, do you know how to assess your children when they are sick and the cause is not so obvious? During your EFR program, you’ll learn to conduct illness assessments and gather important and relevant information to pass onto emergency services. 7. Use the Right Equipment – Do you have a first aid kit at home? Do you know what’s in it and how to use each iteam? During the EFR Program, you’ll learn what to include in your first aid kit and the uses and applications of each item. 8. 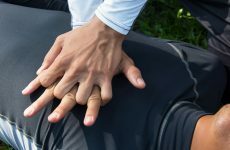 Beyond the Home – The skills you learn during your EFR course can be applied in a range of real life situations inside and outside the home and you won’t always have a first aid kid to hand. Did you know that a magazine can be used to splint a fracture? Or that a t-shirt or towel can be used to apply direct pressure to bleeding? You’ll learn how to improvise effectively when resources are limited. 9. Learn to Prioritise – Imagine a situation where more than one person is injured, or one person has multiple injuries. Who or what would you treat first? Where would you start? 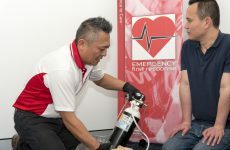 The EFR course will teach you how to evaluate a situation and how to prioritise what to do first. You’ll be taught how to remain calm and make these important decisions. 10. 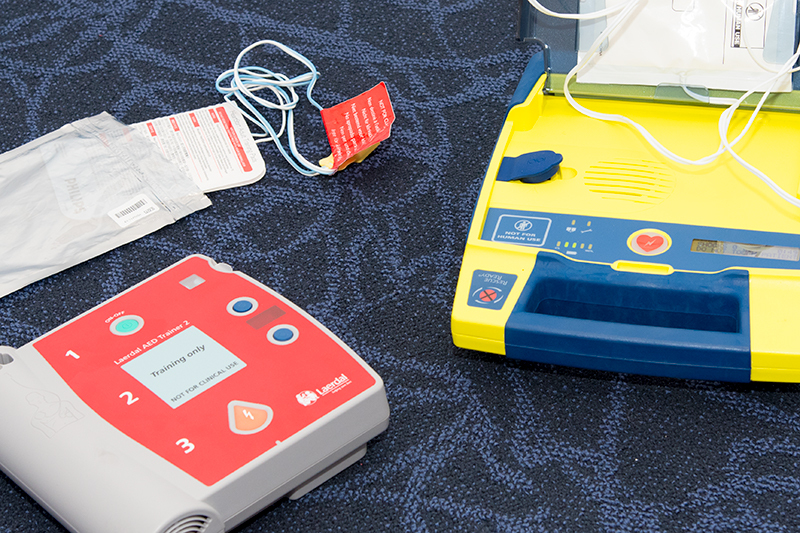 Don’t be intimidated – Have you noticed AED’s (Automatic External Defibrillators) at airports, local bus stations or in shopping malls? Do you know what they are and how to make use of these life saving devices? During your EFR course, you’ll learn when and how the use and AED, making them much less intimidating in a real life scenario. There are plenty of other reasons why every parent should become EFR certified, these are just 10. Ensure you have the confidence to care by finding a course near you and signing up today. For more information about available courses and what they include, take a look here.